Armed Forces Tickets Association-Cincinnati is a 501c3 non profit organization that was created to show appreciation to our active Armed Forces, Guard and Reserves men, women and their families by making available free or deeply discounted event tickets by partnering with Arts, Entertainment and Sports organizations. We would like to extend our sincere thanks to all our Ticket and Corporate Partners. With their generous ticket offers/discounts, we can now offer to you, our dedicated service men and women, some rest and relaxation at many wonderful venues throughout the Greater Cincinnati area. If you would like to be a partner organization, please let us know. We can be reached by selecting "Contact Us" from the menu at the left and filling out the form. PLEASE CONSIDER MAKING A FINANCIAL DONATION TO AFTA! You can help sustain AFTA-Cincinnati with a tax-deductible donation! A 501c3 letter of acknowledgment will be sent to you. Thank you for your contribution. If you have any other questions regarding donations or anything else, please use the Contact Us section of the website. I'm sorry, we do not accept credit card payments on our website at this time. PLEASE BE AWARE - AFTA-Cincinnati will never email you personally or contact you directly asking for money or any equivalent thereof. Scammers are using fake emails to try to get your money. Don't be a victim! Getting tickets is simple and easy! Read the entire Event Page first! If there is a link in the voucher to register on a venue's website as well, we expect you to follow that process immediately and not wait to register on the venue's website! We cannot guarantee that slots/tickets will be held for you if you don't follow the voucher instructions right away. The person's name on the voucher must be the person to pick up tickets at the venue, unless AFTA advises that a family member or friend may pick up tickets. Check your email for duplicate copy of the AFTA-Cincinnati Voucher. Be sure to read the Event Page and Voucher carefully for additional details. Ticket cancellations are reposted on the Event tab, unless there is a wait list for the event. Cancelling tickets is simple and easy! Make sure tickets don't go unused. Please only sign up for events you are sure you will attend. If you find you are unable to use your tickets, you can help other military families by emailing AFTA-Cincinnati at info@afta-cincinnati.org to let us know! Cancel before or by the Cancellation Cutoff Date listed in the event. Last minute cancellations and no-shows, without cause, will result in a one year suspension from the venue and a second no-show within the same fiscal year at any other venue, without cause, will result in permanent suspension from our website. AFTA-Cincinnati Ticket Donations Exceeds $5 Million Dollars! Congratulations and Thank You to our generous Ticket Partners! We have given out more than 130K free and discounted tickets valued at over $5.2M dollars to Active Military, Veterans and their Families since 2008! The Cincinnati, OH area supports our military and says Thank You for your service to our country in a Big Way!!! There is no other organization like us in all of the USA! We have heard your comments and Wait-Lists are back for designated events! For any event that is eligible for wait-lists (tickets to be given out at the venue), we will hold up to 10 names for the wait-list. You will need to email info@afta-cincinnati.org to request to be on the wait-list for an event. We will email or call the person on the wait-list in order of receipt of email as tickets become available. Please make sure YOU ARE AVAILABLE BY PHONE OR EMAIL, should we try to contact you! Make sure your contact information is correct on our website! And if you request to be wait-listed, please be available to attend the event at a moment's notice! Thank you! AFTA-CINCINNATI DOES NOT USE TEXTING SERVICES WITH OUR WEBSITE. Many members have asked to be texted about events, but we do not use that service on our website. Other clients of our sponsor, Global Cloud, who also use the same platform may take advantage of that service, but we do not (partly due to the expense). We have not been sending email blasts about posted events because that causes a "ticket frenzy" and sometimes crashes our site. The best way to stay informed about tickets is to visit the Upcoming Events page and the Event Tab as often as possible. Thank you! Please share our Upcoming Events Page at your location and with your reports! We try to update this several times per month! Reminder: Our website is primarily for active military families, but we do include veterans as well. Veterans must be able to provide valid veteran id or DD214 to register for tickets. Only the veteran should be the person to register for tickets. AFTA and our ticket partners sincerely thank you for your service. If you sign up for tickets on our website, please honor your commitment and show up for events. Remember to read events carefully. If there is no early pickup mentioned on the Event (and most times there are not! ), then please do not contact the Box Office to ask about picking up tickets early. Help us to continue our good relationships with our venues, please read event pages/vouchers carefully! Thank you! CHECK OUT THE EVENT TAB AND UPCOMING EVENTS PAGE REGULARLY! AFTA-CINCINNATI & THE CINCINNATI BENGALS PREPARE FOR THE 2019 BIKE GIVEAWAY! The Cincinnati Bengals/NFL Foundation has awarded a grant to AFTA-Cincinnati to help us with our annual Bike Giveaway. Walmart has also given AFTA-Cincinnati a $500 grant to help pay for helmets! Thank you to both organizations! We are planning to give away bicycles to children of active military families on Saturday, June 1, 2019 from 10a-12:30p. 6-8 volunteers are needed to help distribute the bikes. Please keep watching the upcoming event page for announcements! DID YOU KNOW THAT ABOUT 80% OF OUR EMAILS ABOUT TICKETS GO UNREAD/UNOPENED BY OUR MEMBERSHIP? DID YOU KNOW THAT NEARLY 3/4 OF OUR MEMBERSHIP ARE VETERANS? WE ENCOURAGE ALL AFTA-CINCINNATI MEMBERS TO REVIEW THE LINK AT LEFT: CANCELLATION/NO-SHOW POLICY! The AFTA-Cincinnati Board of Directors has approved the new policy due to the increase in no-shows in the last few years and the dissatisfaction expressed by our ticket partners. All members, please click on the new policy link at the left of this page. This policy has been in effect since July 1, 2018 and will continue to be enforced. Please abide by our new policy and help us eliminate all no-shows! Since implementing this new policy, no-shows are down significantly, but we still need our members to be vigilant. Be aware of tickets you have requested by logging in to the Event Tab periodically and checking your profile. It's easy! Each member is entitled to one personal and active military email address. If active, spouse may register also. If retired or veteran, only that person should register and have one email address on our site. Questions? Call us! Thank you. NEWLY DEPLOYED TO CINCINNATI? WANT TO JOIN THE WEBSITE AND GET FREE TICKETS? If you want to become a new member on our website - you can sign up immediately on any active event if there are available tickets. Just go to the Event tab, select the event link, select the amount of tickets you want and follow the signup/survey instructions. It's so easy and you can create your own password immediately! 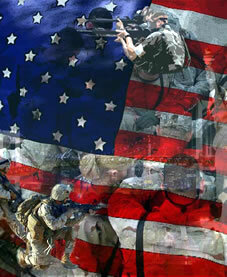 Remember - we consider Guard and Reserves as active military if you are serving now. If you have had a dd214 issued, then you are considered a veteran unless you joined another branch of the military. Retirees are receiving a pension from the government. Thanks for your service! How to Get a Military ID Card. Veterans Designation on Drivers License. VA Loan Rates - Learn More About Your VA Loan Benefit. FOR ACTIVE MILITARY: The following theaters have a standing military discount price of $7.50 for nearly all shows: Eastgate, Esquire, Mariemont and Kenwood (check with ticket office for details). Just show your active military ID! We thank our ticket partners for supporting our military! AFTA-CINCINNATI NOW HAS 175 FAMILIES SIGNED UP FOR KROGER COMMUNITY REWARDS. THANK YOU! WON'T YOU PLEASE JOIN THEM? Thanks to you, AFTA-Cincinnati received a donation check for $848.63 for the past quarter from the Kroger Community Rewards Program! We appreciate you shopping at Kroger and designating us as your charity of choice. We have lost a few families who used to be signed up on the Kroger website naming AFTA-Cincinnati as their designated non-profit. If you can sign up, we would appreciate it! Just go to www.kroger.com and select the Community Rewards program at the top when you sign in. Look for Armed Forces Tickets Association when you sign up for the program. We have a new organization code, HE564. You can use that or our name to sign up! If you are signed up, you no longer need to renew each year. Kroger has removed that stipulation! Yay! Thank you to everyone who is now supporting us via this wonderful program!